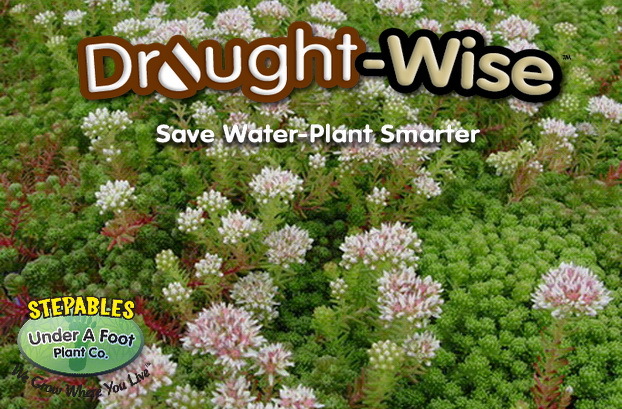 Brilliant green, fleshy succulent leaves turn completely red in drought or cold. Puffy white blooms with a hint of pink are a nice compliment. 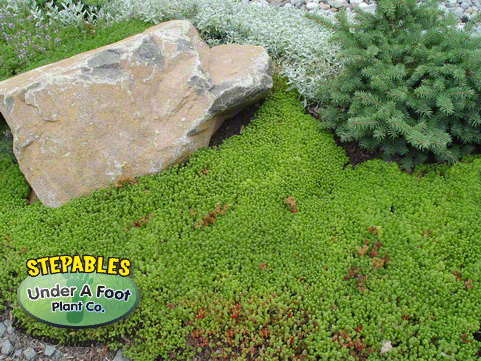 Great for rock gardens, borders and along dry pathways. Sharp drainage is a must. Over watering will impair growth. Sedum lydium is a unique sedum in which it tends to mogul and split colors betweens red and green all in one patch. 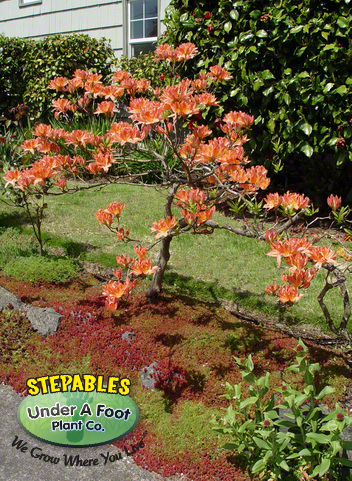 The flowers are neat as they have a tinge of pink to the which softens the look of the red/green foliage. Very nice!! !